Do you want to make a quick $200? It's pretty easy. 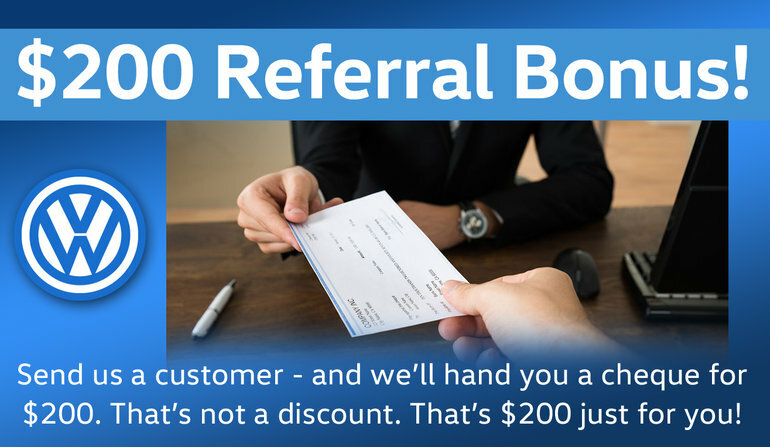 All you need to do is bring us a customer and for every new, used, or leased vehicle deal we'll hand $200 to you! And remember that's $200 EACH! So, whether it's $200 or $2000 - that's some quick cash in your pocket! There's no limit! So come on in - bring your customer - and we'll give you $200 a pop! Simply present this ad via print or your mobile device along with the customer to take advantage of this offer, today! Just click the Print Icon in the upper right. And don't forget to share this page with your friends - so they can take advantage, too!